Recently, the expansion of information technologies and the exponential increase of the digital data have deepened more the security and confidentiality issues in computer networks. In the Big Data era information security has become the main direction of scientific research and Big Data analytics is considered being the main tool in the solution of information security issue. Anomaly detection is one of the main issues in data analysis and used widely for detecting network threats. The potential sources of outliers can be noise and errors, events, and malicious attacks on the network. In this work, a short review of network anomaly detection methods is given, is looked at related works. In the article, a more exact and simple multi-classifier model is proposed for anomaly detection in network traffic based on Big Data. Experiments have been performed on the NSL-KDD data set by using the Weka. The offered model has shown decent results in terms of anomaly detection accuracy. This study proposed multi-classifier model for increasing anomaly detection accuracy in network traffic. The model consists of the J48, LogitBoost, IBk, AdaBoost, RandomTree classifiers. This work performed a comparative analysis of used classifiers and their combination to see which one will give the best result In study classifiers and their combination have been implemented on NSL-KDD open source dataset using WEKA tool. The results show that the ensemble classifiers provide the better result than using these classifiers individually. The computer network traffic analysis with employment of our model can help network engineers and administrators to create a more reliable network, avoid possible discharges and take precautionary measures. In this paper, Bisection method-based algorithm for the computation of optimal path length of terrestrial microwave link is presented. Also, performance analysis of the algorithm is presented in terms of the convergence cycle of the algorithm. The impact of various link parameters on the convergence cycle of the algorithm is also presented. Mathlab program was used to carry out sample numerical computation for a microwave link having the following parameters: frequency (f) = 12 GHz, transmit power (PT) = 10dBm, transmitter antenna gain (GT) = 35 dBi, receiver antenna gain (GR) = 35 dBi, fade margin (fms) =20dB, receiver sensitivity (PS) = -80dBm, Rain Zone = N, point refractivity gradient (dN1) = -400, link percentage outage (p0) = 0.01% . The results showed that the Bisection algorithm converged at the 17th cycle. It was found from the analysis that the convergence cycle of the algorithm varied linearly with frequency, decreasing with frequency from a value of 17 at frequency of 12 GHz to 15 at a frequency of 45 GHz. On the other hand, the convergence cycle varied nonlinearly with percentage availability of the link. Also, for a given frequency and link percentage availability the convergence cycle increased with increase in rain rate. The result of the research is very essential for microwave link designers to determine the optimal path length for effective link performance under different link configurations and locations. 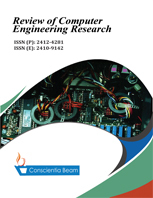 This study applies Bisection algorithm to determine the optimal path length of line of site wireless communication link. The Bisection method presented in this paper is simpler and easier to be applied in more situations than the Newton Raphson method. Used in Emenyi, et al. .